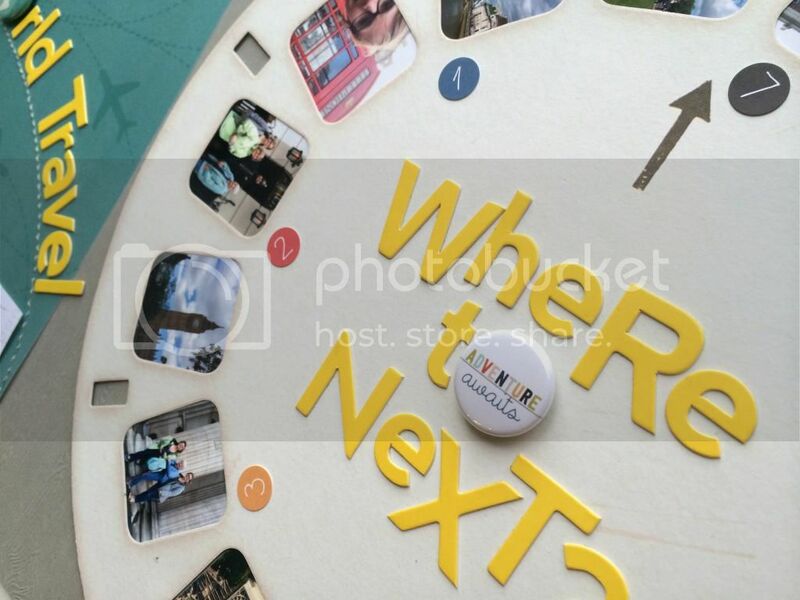 Cocoa Daisy Forum • View image - Hello World Travel > Where To Next? 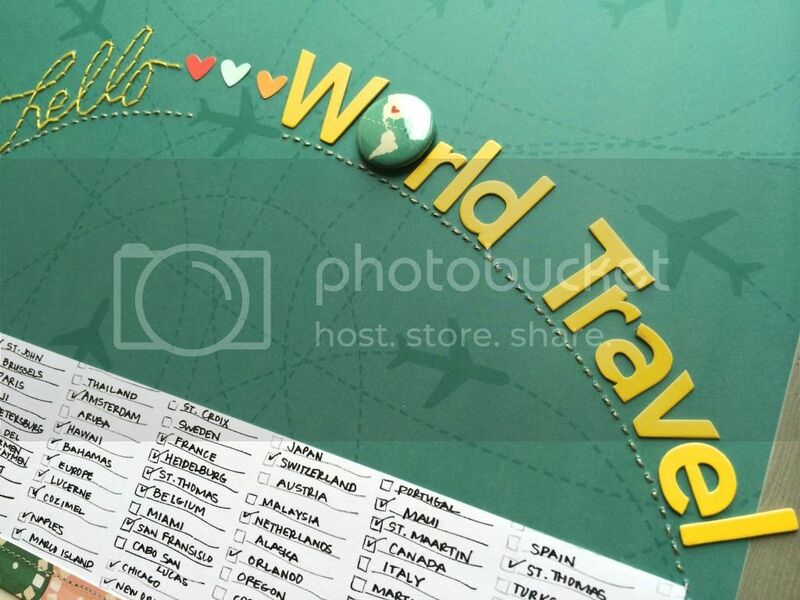 Hello World Travel > Where To Next? Created with the Main Kit; Viewfinder. I used the stamp from the DITL kit to create a check list of places I have been to and places I would like to visit in the future. The "hello" was stitched using the We R Memory Keepers template from the main kit. and I hand stitched the jet stream. Wow, this is crazy cool! Love it! Yep, that is such a great idea for the viewfinder paper!!! absolutely love this two page. AWESOME!!! This is so amazing! Wow!! wow! you are a lucky woman. 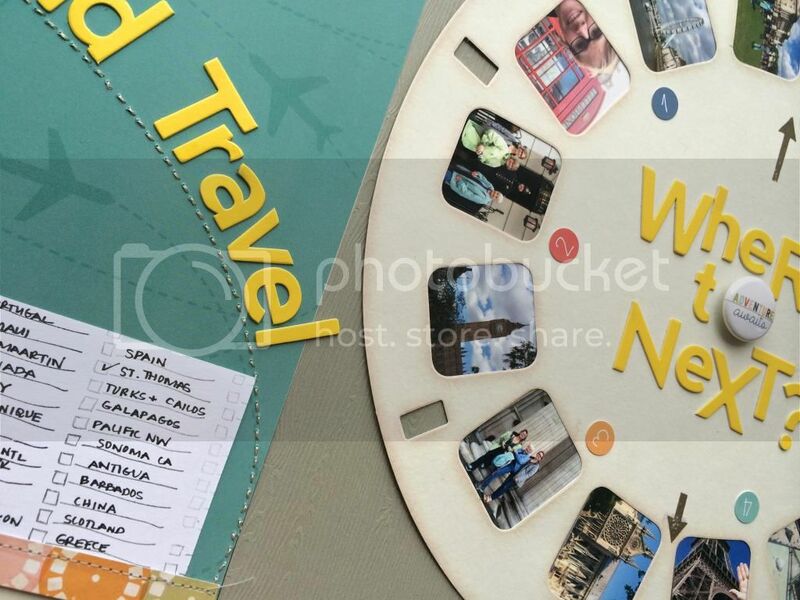 This has the best sort of movement, what a great way to get all those random little photos scrapped! Not sure this layout could be ANY more amazing… wow, just wow. Using the checklist stamp like that is a great idea. love the stitched jet stream! That's quite an adventure you had, fabulous layout! Awesome!! Love how you used the flair pieces!